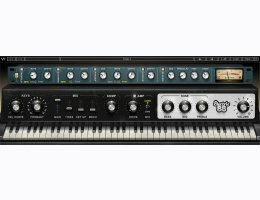 Sampled to capture the nuances of the original vintage instrument, the Electric 88 comes with effects, compressor and amp added. This is something Waves kept in mind when creating the Electric 88. They decided to sample a unique “road-worn” piano, carefully capturing the non-linearity of the individual keys to preserve its charming character. When they sampled the piano, they had each key played multiple times by hand to give it a real human feel. The result is a phenomenal electric piano full of personality and a sound that will instantly be reminiscent of classic ‘70s pianos: full of funk and soul.